A very Rare air rifle made locally by Sports Match Leighton Buzzard approximately 25 years ago. Recently serviced with full replacement seal kit stripped cleaned & regulated to 24Ftlbs. 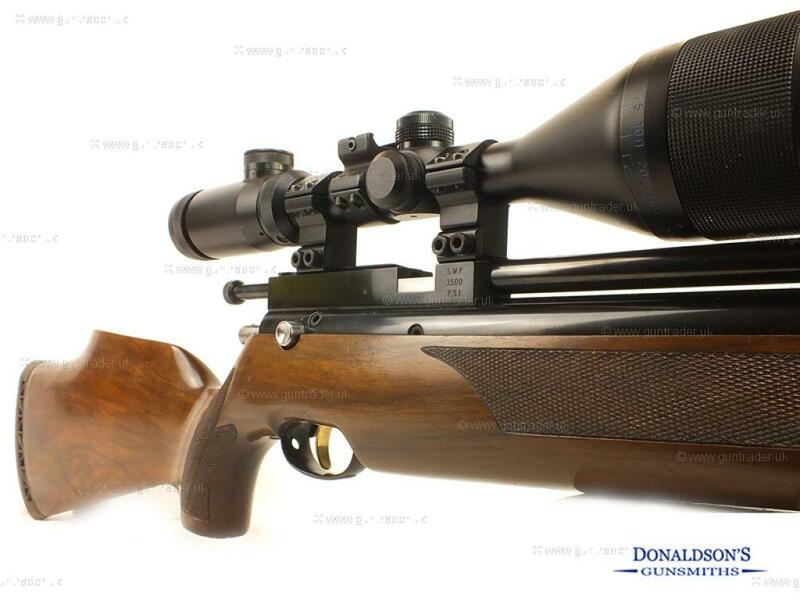 Also comes with a Optima 3-9X56 scope and mounts. An awsome setup. Finance Now available with 12,24 or 36 month terms with a minimum 10% deposit at 19.9% APR. 24 payments £24.99 per month with a £100 deposit 12 payments £45.85 per month with a £100 deposit Purchase with confidence from a family run business with 30 years experience.